Winterborn PhilodendronEvergreen shrub. Dense low spreading tropical plant that can form a clump. D..
Mock OrangeEvergreen shrub. 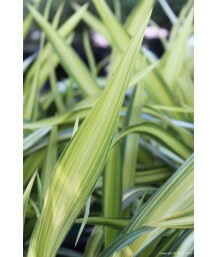 Bold shiny, deeply-lobed green leaves up to 4 feet long. 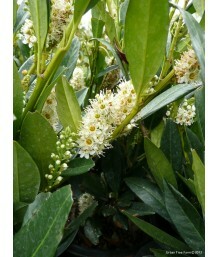 Flowers have ..
Long Leaved WaxflowerEvergreen shrub. Pink buds open to small but profuse white star shaped flower i..
Long Leaved WaxflowerEvergreen shrub. Aromatic green leaves, reminiscent of apple fragrance. 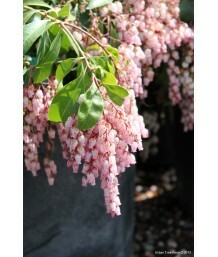 Pink bu..
Jerusalem SageEvergreen shrub. Especially large fuzzy green leaves. Whorls of yellow flowers in spri..
Jerusalem SageEvergreen shrub. 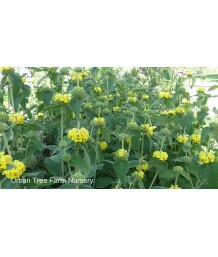 A large, multi-stemmed, broad shrub with 2 to 3 inch long lance-shape..
Jerusalem SageEvergreen shrub. Compact but spreading habit. 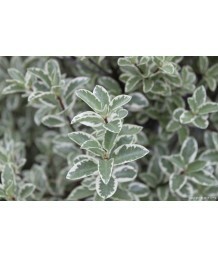 Small rounded wooly gray-green leaves th..
Jerusalem SageEvergreen shrub. 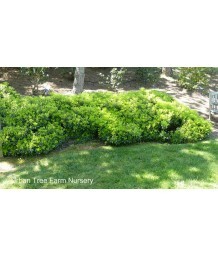 Compact, rounded shrub has 3 inch golden yellow leaves; ball-like clu..
Mountain FlaxEvergreen shrub. Upright wide olive-green to bronze leaves with broad creamy-yellow str..
Mountain FlaxEvergreen shrub. Bold 2 1/2 inch wide arching leaves with cream-yellow midstripe and gr..
Mountain FlaxEvergreen shrub. Bold 1 1/2 inch wide arching leaves in shades of orange, rose, light g..
Mountain FlaxEvergreen shrub. Slow growing. Forms clump. 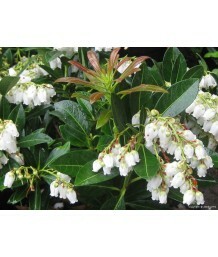 Upright strap-like leaves are cream color a..
New Zealand FlaxEvergreen shrub. Wide bronzy green leaves, rigid and mainly upright, curving mainly ..
New Zealand FlaxEvergreen shrub. Slow growing. Forms clump. Upright strap-like leaves are reddish-br..
New Zealand FlaxEvergreen shrub. Slow growing. Forms clump. Narrow upright blade-like leaves are lig..
New Zealand FlaxEvergreen shrub. Moderate rate of growth. Forms clump. Upright strap-like leaves are..
New Zealand FlaxEvergreen shrub. Slow growing. Forms clump. Narrow upright blade-like leaves are dee..
New Zealand FlaxEvergreen shrub. Rich brown sword like leaves. Low water needs once established. Bo..
New Zealand FlaxEvergreen shrub. Upright-growing variety with sword-like green leaves with attractiv..
New Zealand FlaxEvergreen shrub. Slightly arching, 1-2 inch wide leaves that are a dark reddish brow..
New Zealand FlaxEvergreen shrub. Slow growing. Forms clump. Very narrow twisting leaves are deep red..
New Zealand FlaxEvergreen shrub. Arching 2-3 feet long pinkish leaves that have an orange midrib and..
New Zealand FlaxEvergreen shrub. Green-centered, rose-red margined leaves to 2 1/2 inches wide with ..
New Zealand FlaxEvergreen shrub. Slow growing. Forms clump. Narrow upright blade-like leaves are sal..
New Zealand FlaxEvergreen shrub. Slow growing. Forms clump. Narrow upright blade-like leaves are cor..
New Zealand FlaxEvergreen shrub. Slow growing. Forms clump. Upright strap-like leaves are salmon-pin..
New Zealand FlaxEvergreen shrub. Upright habit. Wide bronze-green (almost gray) leaves edged with pi..
New Zealand FlaxEvergreen shrub. 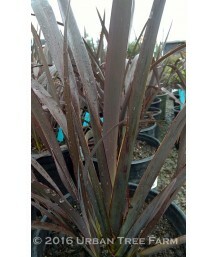 Possibly the darkest of all Phormium cultivars, it makes a dramatic..
New Zealand FlaxEvergreen shrub. Slow growing. Forms clump. Upright strap-like leaves are deep coral..
New Zealand FlaxEvergreen shrub. 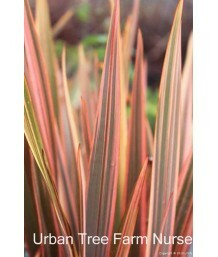 Explosion of multi-patterned bright red, orange, and green sword li..
New Zealand FlaxEvergreen shrub. 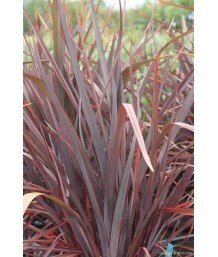 Slightly arching maroon-red foliage. Deer tolerant. Can tolerate se..
New Zealand FlaxEvergreen shrub. Slow growing. Forms clump. Upright strap-like leaves are coral-red ..
New Zealand FlaxEvergreen shrub. Twisted brown leaves with yellow-green central stripe. Deer resistn..
New Zealand FlaxEvergreen shrub. Twisted green leaves with yellow-green central stripe. Deer resista..
New Zealand FlaxEvergreen shrub. 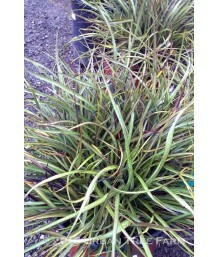 Dwarf flax with upright spikey growth that reaches to only 12 inche..
New Zealand FlaxEvergreen shrub. Slow growing. Forms clump. Very narrow upright, wiry leaves are oli..
New Zealand FlaxEvergreen shrub. Slow growing. Forms clump. Upright strap-like leaves are yellow and..
New Zealand FlaxEvergreen shrub. Slow growing. Forms clump. 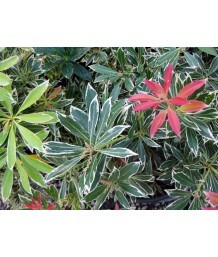 Upright blade-like leaves are bright yel..
Variegated PhotiniaEvergreen shrub. 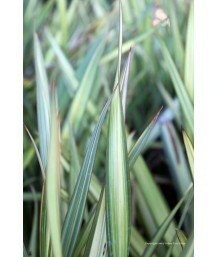 Glossy, dark green leaves irregularly margined with white varieg.. Compact PhotiniaEvergreen shrub. Fast growing. Upright broadly oval form. Medium-sized oval leaves a..
PhotiniaEvergreen shrub. Fast growing. Upright broadly oval form. 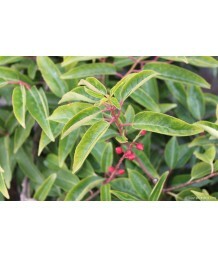 Medium-sized oval leaves are gloss..
PhotiniaEvergreen shrub. Pruned into a column shape. Fast growing. Upright broadly oval form. 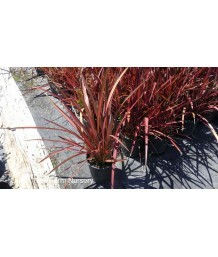 Medium..
PhotiniaEvergreen shrub. Pruned to grow on a trellis. Fast growing. Upright broadly oval form. Mediu..
Lily of the Valley/AndromedaEvergreen shrub. This hybrid between japonica and formosa has a more upr..
Lily of the Valley/AndromedaEvergreen shrub. Slow growing. Rounded form with layered branching patte..
Lily of the Valley/AndromedaEvergreen shrub. Compact leaves with reddish new growth. 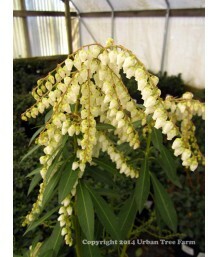 Drooping cluste..
Lily of the Valley/AndromedaEvergreen shrub. 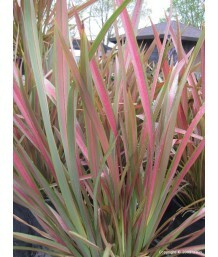 Young leaves are red with pink edging. Mature leaves tu..
Lily of the Valley/AndromedaEvergreen shrub. 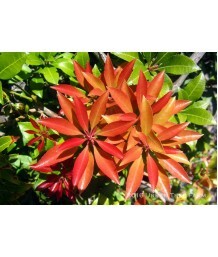 New growth is reddish with mature leaves glossy green. ..
Lily of the Valley/AndromedaEvergreen shrub. Slow growing. Compact rounded form with layered branchi..
Lily of the Valley/AndromedaEvergreen shrub. Pruned to grow on a trellis. Slow growing. Rounded form..
Lily of the Valley/AndromedaEvergreen shrub. Dense, upright habit. 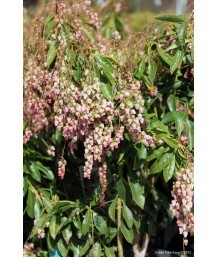 New growth is reddish, maturing t..
Lily of the Valley/AndromedaEvergreen shrub. New growth is reddish in color that matures to a broad,..
Lily of the Valley/AndromedaEvergreen shrub. Slow growing. Rounded form. 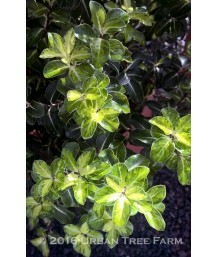 Oval dark green shiny leave..
Pittosporum/KaroEvergreen shrub. Holds grey-green round leaves that are covered with greyish hairs. ..
Pittosporum/KaroEvergreen shrub. 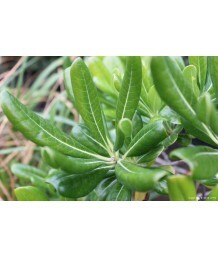 Dense evergreen shrub with light olive green rounded leaves that ar..
Pittosporum/KaroEvergreen shrub. Pruned into a single trunk tree. Holds grey-green round leaves that..
PittosporumEvergreen shrub. Fast growing. Broadly oval form. 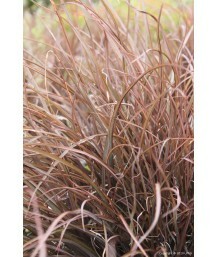 Medium-sized grass-green oval wavy-edge..
Black Stem PittosporumEvergreen shrub. Fast growing. Broadly columnar form. Small medium-green oval ..
Black Stem PittosporumEvergreen shrub. Pruned into a column shape. Fast growing. Broadly columnar fo..
PittosporumEvergreen shrub. Slow growth rate. Compact, rounded form. Pointed oval leaves with a glos..
PittosporumEvergreen shrub. 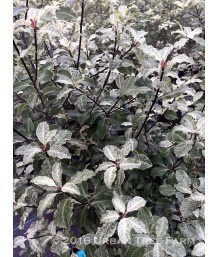 Small and glossy leaves variegated in green and gold, dark red-black ste..
PittosporumEvergreen shrub. Slow growing. Rounded form. Small oval mint-green leaves with white bord..
PittosporumEvergreen shrub. Fast growth rate. Dense, upright form. Dark green, glossy leaves. Small,..
PittosporumEvergreen shrub. Upright shrub has dark green leaves with irregular gold centers held alo..
PittosporumEvergreen shrub. Dense, formal, low-maintenance form is ideal in containers or as a low h..
Pittosporum/TawhiwhiEvergreen shrub. 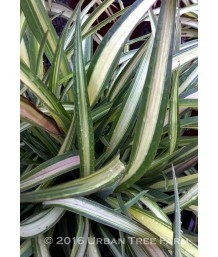 Small green and white-yellow variegated leaves line black stems..
PittosporumEvergreen shrub. 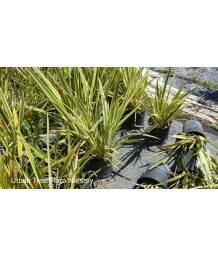 Moderately fast growing plant with hedging and screening uses. Inconspic..
PittosporumEvergreen shrub. More compact habit than the straight species. Small glossy light-green l..
PittosporumEvergreen shrub. Slow growing. Rounded form. Small medium-green oval leaves on black stem..
PittosporumEvergreen shrub. Moderate growth rate. Airy, upright form. Glossy, silver-green leaves. S.. Dwarf PittosporumEvergreen shrub. 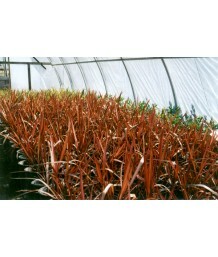 Moderately fast growing plant with hedging and screening uses. Inc..
PittosporumEvergreen shrub. Pruned into a column shape. 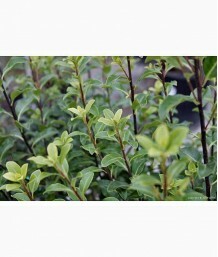 Moderately fast growing plant with hedging a..
Pittosporum/Mock OrangeEvergreen shrub. Moderate rate of growth. Dense rounded form. 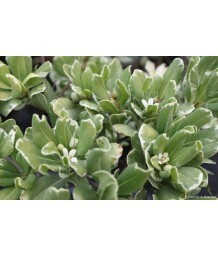 Medium-sized, m..
Pittosporum/Dwarf Variegated Mock OrangeEvergreen shrub. Also known as 'Shima'. 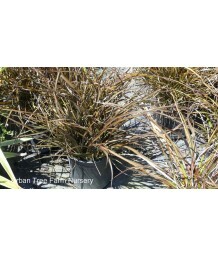 Dense and compact gr..
Pittosporum/Dwarf Variegated Mock OrangeEvergreen shrub. Also known as 'Creme de Mint'. Dense and co..
Pittosporum/Mock OrangeEvergreen shrub. Moderate rate of growth. Rounded form. Medium-sized oval lea.. Dwarf Pittosporum/Mock OrangeEvergreen shrub. Dense and rounded growth. Light green with creamy marg.. Dwarf Pittosporum/Mock OrangeEvergreen shrub. Dense and rounded growth. Bright green new growth that..
Blue Gem Alpine PodocarpusEvergreen shrub. Blue-green foliage with reddish new growth. Often used fo..
Sweet-Pea ShrubEvergreen shrub. Dense grey-green growth with inch-long, rounded leaves. Pinkish purp..
Sweet-Pea ShrubSemi-evergreen shrub. 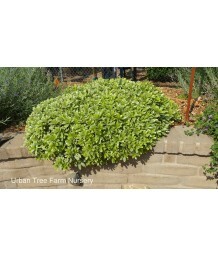 Fast growing shrub with narrow green leaves and purplish pink f..
Variegated Mint BushEvergreen shrub. Australian natives with oval, minty smelling green leaves with ..
Mint BushEvergreen shrub. Australian natives with minty smelling grayish green leaves and profuse pu..
Mint BushEvergreen shrub. Erect-oval in form and growing at a moderate pace to around 5 feet, this A..
Hollyleaf CherryEvergreen shrub. 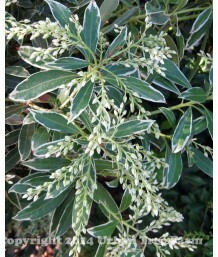 Western native with rich deep green holly-like foliage and sprays o..
English LaurelEvergreen shrub. Fast growing. Very dense rounded form. Large leathery glossy medium-g.. Dwarf English LaurelEvergreen shrub. Slow growing. Dense rounded form. Large leathery, glossy medium.. Dwarf English LaurelEvergreen shrub. Slow growing. Rounded, spreading form. 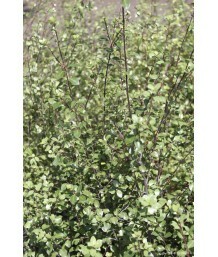 Large leathery dark-gree..
Schipka LaurelEvergreen shrub. Fast growing. Very dense rounded form. Large leathery glossy medium-g.. Compact English LaurelEvergreen shrub. Narrow willow-like dark green leaves on arching branches reac..
English LaurelEvergreen shrub. Pruned into a column shape. Fast growing. Very dense rounded form. La..
Portugal LaurelEvergreen shrub. Moderate rate of growth. Dense rounded form. Medium-sized dark-green..
Catalina CherryEvergreen shrubby tree. This subspecies of Holly Leaf Cherry is typically used as a l..
FirethornEvergreen shrub. 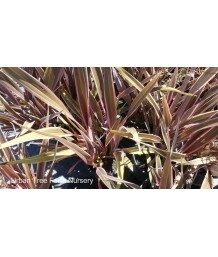 Tall, upright growing with thorny stems and small, glossy, dark green leav..
FirethornEvergreen shrub. 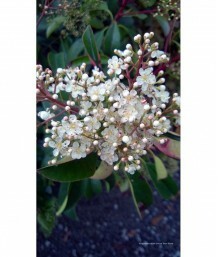 Handsome, low spreader displays small but abundant creamy white flowers th..
FirethornEvergreen shrub. Pruned to grow along a stake in the center of the container. 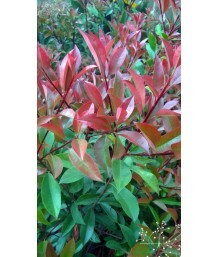 Vigorous, upr..
FirethornEvergreen shrub. Trained to grow on a trellis. 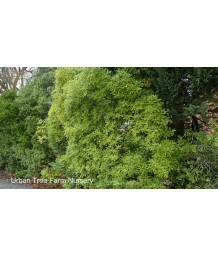 Vigorous, upright grower valued for its huge..
FirethornEvergreen shrub. Fast growing. Wide spreading form. Small dark-green oblong leaves. Cluster..
FirethornEvergreen shrub. Pruned to grow along a stake in the center of the container. Bold, upright..
FirethornEvergreen shrub. Trained to grow on a trellis. Bold, upright grower displays intense red be..
Pyracantha x OsteomelesEvergreen shrub. Compact, mounding habit. Finely branched with small, shiny g..